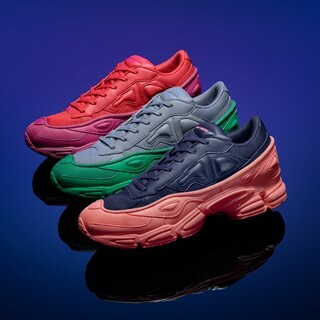 For FW2018, adidas by Raf Simons continues to update now-iconic silhouettes. 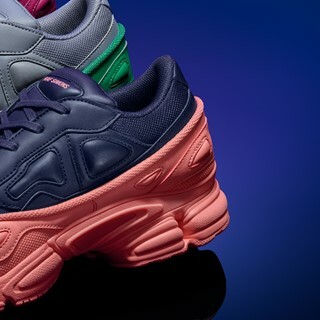 The RS OZWEEGO takes a futuristic approach with a two-layer upper and a running-inspired profile. 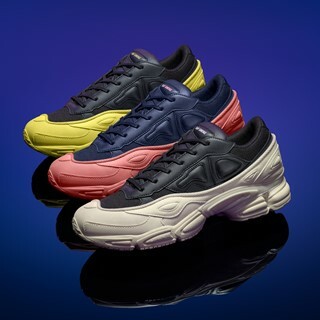 This season’s version features a shiny synthetic leather with subtle mesh details and a specific lacing design. 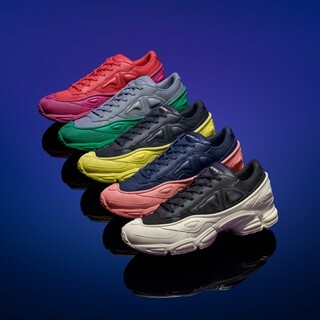 New colors highlight this style’s signature bold sole construction: available in black/white and 4 other vivid combinations – blue upper with pink, grey with green, red and glory purple, and deep navy upper with a yellow sole. The coveted tennis shoe, the RS STAN SMITH, makes a bold statement this season in refined leathers and new colors like pink, yellow, electric blue and cream. 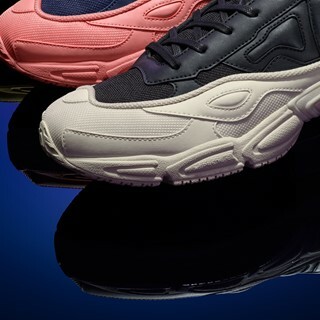 The RS OZWEEGO and RS STAN SMITH will drop on September 20th at adidas.com and at select retailers worldwide.